All hail André Simon (1877-1970) bibliophile, gourmet, wine connoisseur, historian, writer and trader in wine (especially champagne.) 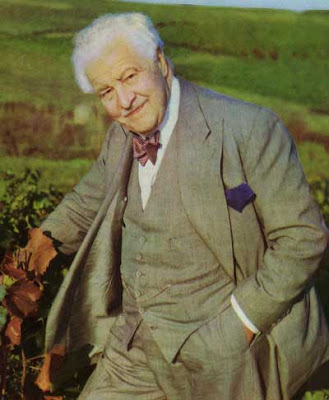 Born in Paris, he came to London in 1902 as the English agent for the champagne house of Pommery and Greno. 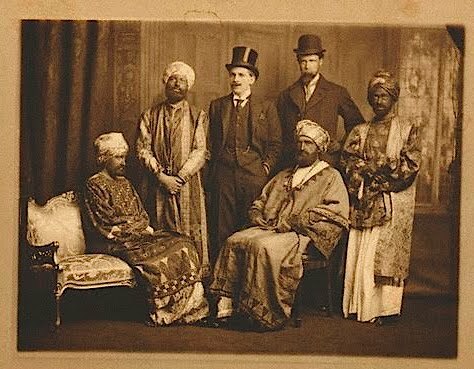 Although he lived in England from then onwards, he always remained a French citizen. He wrote over 100 books and pamphlets on wine and food and collected wine books all his life -his personal collection was one of the finest ever assembled. His love of books is described by Hugh Johnson in the foreword to the Holland House facsimile reproduction of his definitive wine bibliography Bibliotheca Vinaria: "His senses of sight and touch were as well developed as his famous sense of taste. Books to him were objects of physical attraction. I remember many occasions when he took book after book from his shelves for me to admire their print, their woodcuts or their bindings." Simon believed that "a man dies too young if he leaves any wine in his cellar," - only two magnums of claret remained in his personal cellar when he died at the age of ninety-three. There was another stash however, for on what would have been his 100th birthday, 28 February 1977, 400 guests at the Savoy Hotel in London drank to his memory in claret he had left for the occasion: Chateau Latour 1945. I found this article by him in Wine & Food of Winter 1966 - a magazine he had founded with the great Corvine A.J.A Symons in 1932. It does not appear anywhere on the web but I have not produced it quite in its entirety for copyright reasons- cutting out a few longueurs, deviations etc., I will add some footnotes later. For the moment it is worth noting that this is a book collector so involved with wine that he bought the Gutenberg Bible (current value surely $20,000, 000 or more) because it contains a description in Isaiah of the planting of a vineyard. This is a bit like a collector of tennis books buying a Shakespeare First Folio because the bard mentions the game in Hamlet, Much Ado about Nothing and Heny the Fifth ('When we have match'd our rackets to these balls./We will, in France, by God's grace, play a set ...) His library would have been the kind of collection a dealer could retire on and follow the good life -as defined by Andre Simon. The Soliloquy of a Bibulous Bibliophile. Is there anyone anywhere today, I sometimes wonder, who had the opportunities which were mine, during three score and ten years of my adult life, to enjoy wonderful wines, the likes of which the post-wars generations will never know, and the privilege to enjoy them with such wonderful friends? I doubt it. One of my oldest friends- he was born in 1847- was Sir James Agg-Gardner, a little man and a great lover of wine…he was one of a few friends who lunched with me at my old Mark Lane headquarters, in 1918, to celebrate my return to civilian life. * There were still, on that day, four magnums of Cockburns 1847 in the cellar; we had one of them and it really was magnificent! We were on the eve of a General Election and we all drank good luck to Sir James in the wine of his own vintage. I promised him, somewhat rashly, another magnum of 1847 Cockburn, should he be re-elected. He was re-elected of course, not only that year, but twice again during the next twelve months: it took three elections in two years to get a working majority, and this was why and how my last three magnums of Cockburn 1847 went in two years! No regrets: they were at their best and could not possibly have been any better had they been kept any longer. ... I had the good fortune to hear of a small parcel of Chateau Lafite 1870, in 1935, tasted the wine and found it still very good, old as it was: it was not château bottled, but bottled at Leith, in Scotch bottles, with first-class corks. So I bought it for the Saintsbury Club, of which I was Cellarer then and during the first thirty years of the Club’s existence. I put aside a dozen bottles in the hope that the Lafite and Ian (Campbell) would celebrate their eightieth birthday together, which they did, in 1950, at the Vintners’ Hall. How grateful I am to have still with me, on my shelves, so many old friends, the books which I have been collecting all my life. There are, I know, many bibliophiles who have a far greater number of books that I have, some of them rarer and more valuable than any I have, but I cannot imagine anybody having assembled a more representative collection of books of wine interest*, not only books dealing exclusively with viticulture and wine-making, but others in which wine is considered from the moral, social, economic, and medical angles. This, although the Bible cannot be called a ‘wine book’, I did not hesitate to buy, when I had the chance to do so, a beautiful Folio of Gutenberg’s Bible, printed at Mainz, between 1450 and 1455, with Isaiah’s description of the planting of a vineyard. The two oldest friends on my shelves have been with me for over sixty years, through two world wars and many vicissitudes: I only paid a guinea for each of them and each is worth at least £50 today. One is a little book of eight leaves in full calf binding, but there were only seven leaves in a blue paper dust cover when I bought it from Pickering and Chatto, in 1904: I had the missing first leaf added in facsimile from the British Museum copy. 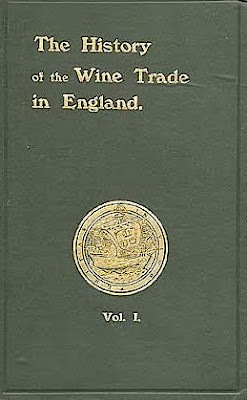 It is the earliest of all books ever printed that deals exclusively with wine: its title is De vino et eius proprietate; its author is unknown, but I am as sure as one can be without documentary evidence that it was written by Jerome Emser: it was first published, in 1478, in German, before being translated in Latin. My other old friend is a perfect copy of Andreas Bacci’s De Naturali Vinorum Historia, printed in Rome in 1596, a full hundred years later than his little brother; I bought it from Smith, an odd antiquarian bookseller of Brighton, one of those rare bargains that gladden the heart of a bibliophile. 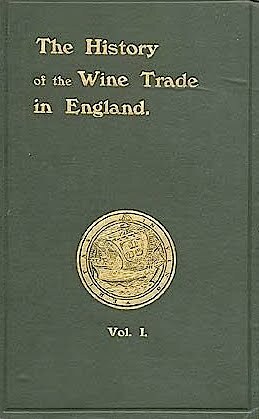 One of the earlier post-War I books which I treasure, as I do the memory of Hugh Cecil Lea, who gave it to me in 1920 as a Christmas present, is William Turner’s A new Boke of the nature and properties of all Wines that are commonlye used here in England. My copy is a perfect copy; it came from the Huth Library and is one of five known copies. Arnaldus de Villanova’s Tractatus de Vinis, and similar books written by the doctors of the School of Salernes, deal with wine in a pseudo-scientific fashion, and are interesting as such: one German doctor, for instance, in his Regimen Sanitatis printed at Strasbourg, in 1513, recommends a draught of wine when having a bath, adding that the Queen of England, Elizabeth, always had one, and there is a woodcut on the title page showing the queen, with her crown on her head, sitting in a great wooden tub and her doctor handing a draught of wine to her! Fathers of the Church and moralists of old have also written a great deal about the use, more especially the abuse, of wine, and I have many of their writings, none more consoling than the assurance given in one of those books that you may happen to be drunk and be perfectly blameless, that is if you have been given bad wine: you were drugged, not drunk! 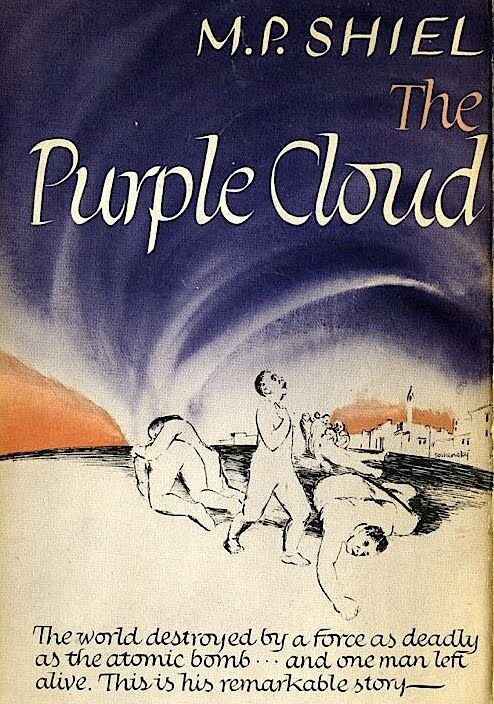 All the recent news about the volcanic ash cloud over Europe and consequent turmoil and disruption were like a science fiction or Doomwatch story--it brought to mind the great post apocalyptic fantasy by M.P. 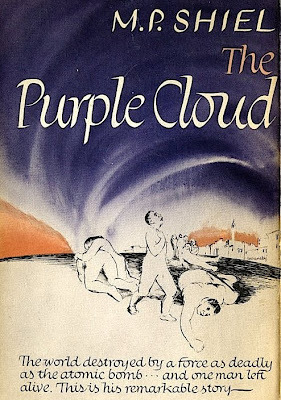 Shiel The Purple Cloud. 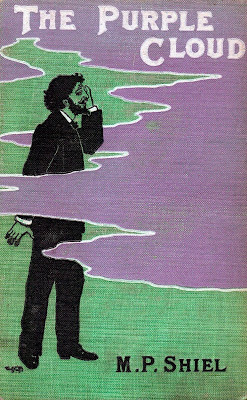 Published in 1901 and revised in 1929, it has appeared in many editions (a US hardback cover below) including pulp paperbacks. 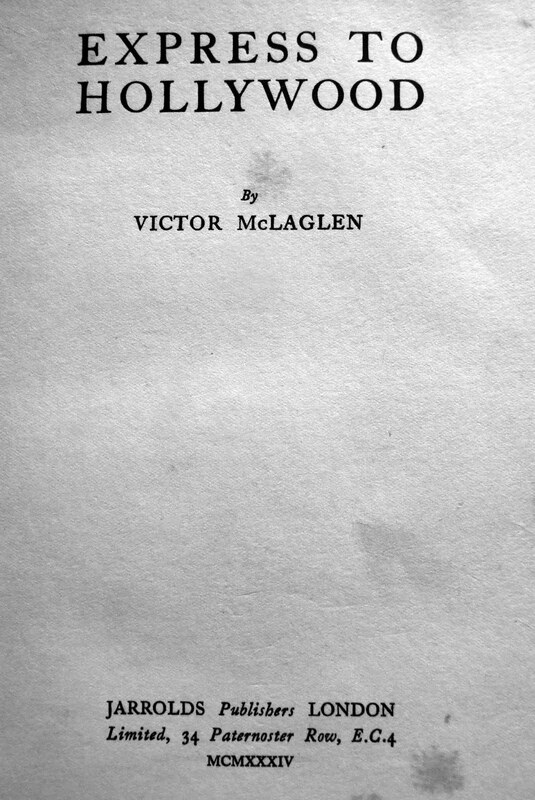 The first edition is the best but rather rare, especially in collectable condition. I am grateful for M.Stone and J.Baxter for sending me an image from Paris of what looks like a very decent example. 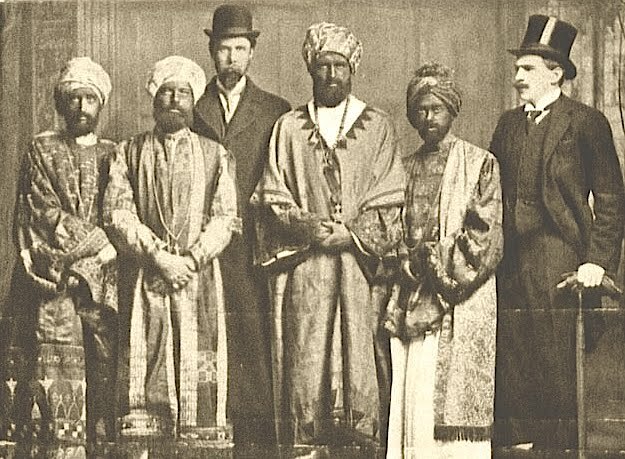 He was much admired by fellow writers such as Wells, Machen, E.F. Benson, Rebecca West, Carl Van Vechten, Dashiell Hammett ('a magician...') Ellery Queen, August Derleth, J.B. Priestley etc., Hugh Walpole said of him "A flaming genius! At his best he is not to be touched, because there is no one else like him." His values are high. An indifferent rather worn example is offered at $1200, a fairly decent presentation copy at an adventurous £2500 but a thousand pound note would not be out of the question for an uninscribed sharp and fresh looking example. Fashion’s a funny thing. Turn up at Gekoski with an armful of signed firsts of Barrie, Galsworthy, Coppard, Shaw, and Walpole, and you’d be politely shown the door. Waddle in with a battered copy of Ulysses complete with an authorial inscription to Wyndham Lewis and suddenly he’s fishing out his cheque book. 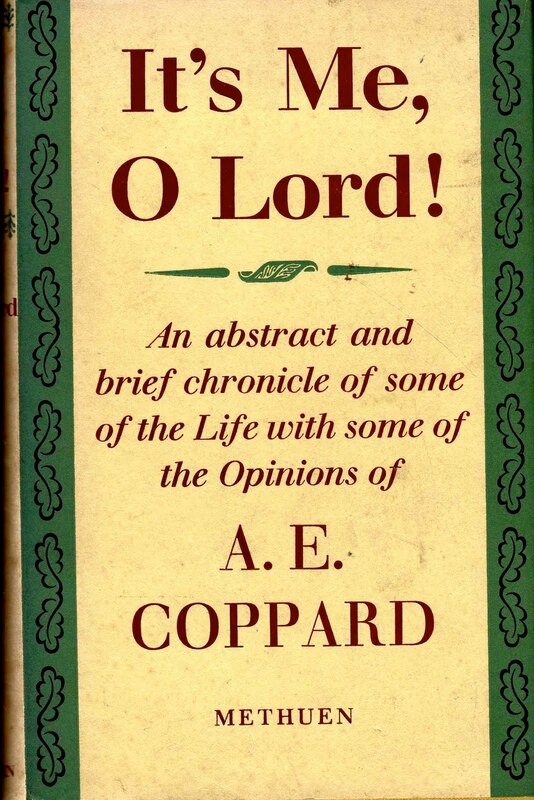 Eliot, Pound, Lawrence, Joyce and Lewis were all of the golden 1880s generation who came good in the 1920s, but it would seem that in the era of their greatest fame as modernist icons, book collectors actually preferred Galsworthy , Barrie, Coppard , Shaw and Walpole. 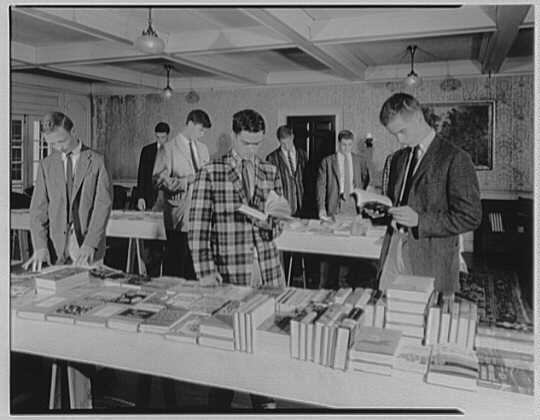 Indeed, in magazines like the Bookman, whole articles were devoted to collecting their firsts and limited editions-complete with ‘ points ‘ in this developing market for modern firsts. Fashion never bothered the average reader. Shaw hasn’t been’ in ‘since God knows when, but no-one told me that when St Joan was chosen as a text for my O level syllabus. 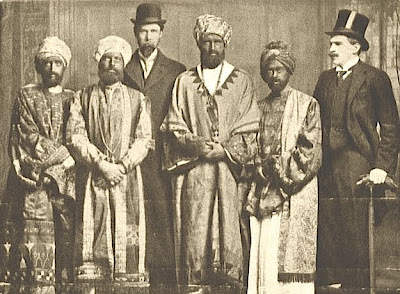 As far as my teacher was concerned, Shaw was as relevant in 1968 as he had been in the twenties. 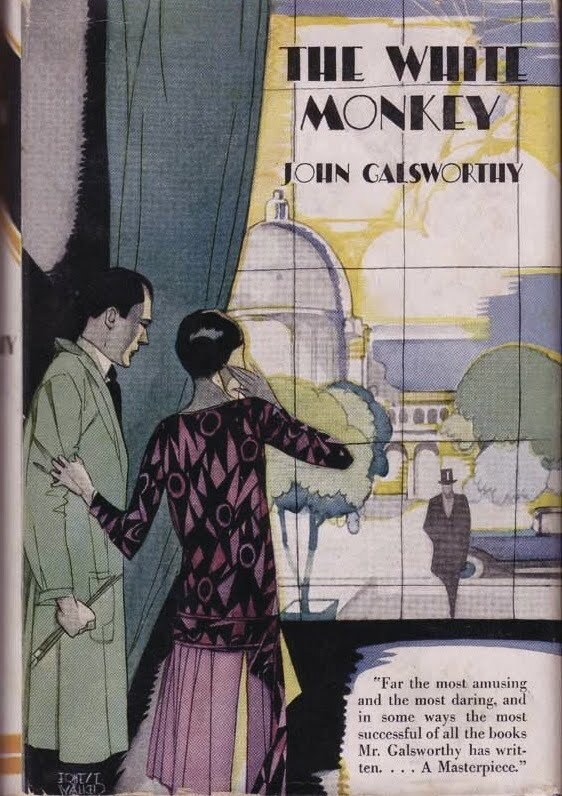 And the importance of Galsworthy was recognised by producers of that sixties adaptation, The Forsyte Saga, while Coppard was surely still in vogue in the late sixties if a series of his dramatised short stories on TV was any indication. 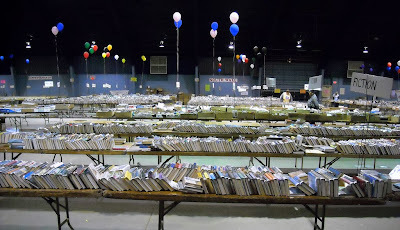 It followed ( I assumed ) that collecting their books was a good investment move. I clearly remember as a teenager in 1969 being shocked to discover that the first of Shaw’s Apple Cart that I had recently plucked out of a jumble sale for sixpence was only worth about 2 shillings. Today you can get one for £1—even less in real terms-- on the Net. bibliographies based on these contributions, doesn’t focus entirely on the moderns, but is clearly intrigued by the trends he discovers in the market. According to William Foyle, Fabes’ knowledge of the modern first edition market was ‘ unique ‘, though other collectors and dealers felt unhappy that he had given away too many trade secrets in his first bibliography. Today, as a bibliographer Fabes can be seen as a trailblazer, despite the fact that his critical judgements would not now bear scrutiny—he classed Priestley with Dickens and A. A. Milne with Lewis Carroll. 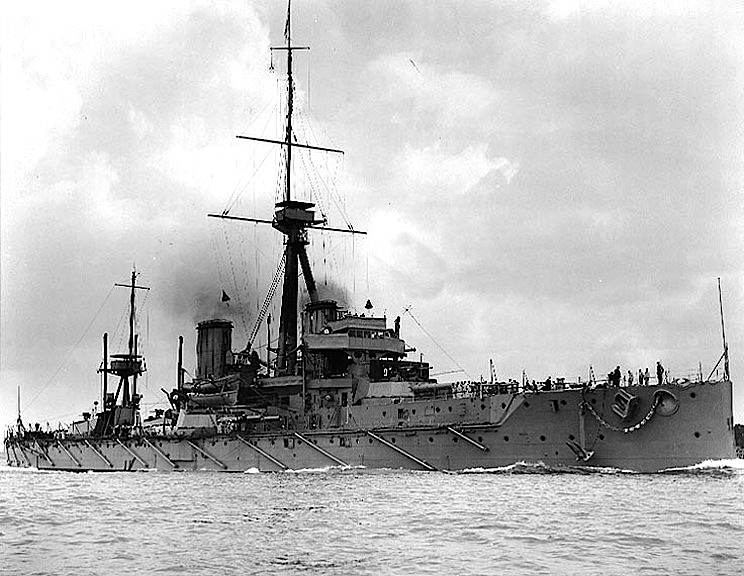 Masefield too was reckoned among ‘ the first rank ‘. This price movement upward appears to have began in the prosperous years of the twenties, at about the time when the rage for collecting modern etchings took fire. 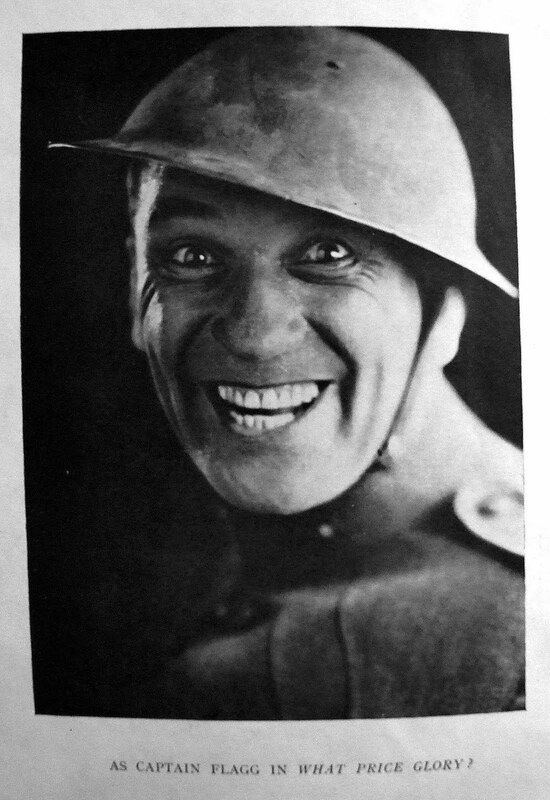 In a magazine interview in 1927 a young actress called Barbara Hoffe, along with confessing rather bizarrely that her favourite meal was a mushroom omelette, also revealed that her favourite hobby was collecting ‘first editions cheaply’. 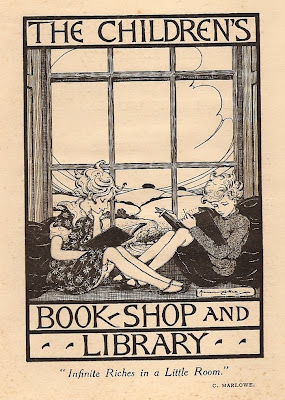 Not long afterwards W. H. Smith launched a new quarterly, The Book Window, which was devoted to reviews of the best books and ‘ to those limited and deluxe editions likely to appeal to collectors ‘. But though the etching market collapsed dramatically with Wall Street in 1929, leaving artists like Graham Sutherland without customers, the Bookman pieces would suggest that the market for modern firsts was more resilient. 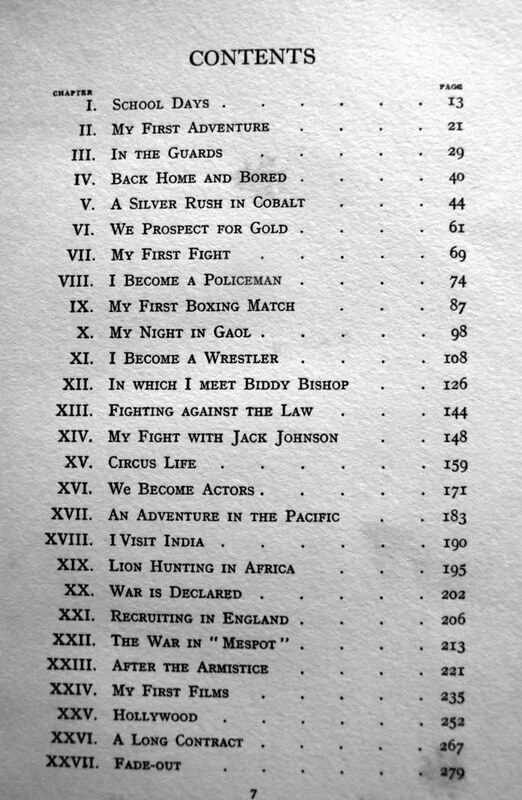 The timing of the Bookman articles may even suggest that modern firsts were, post 1929, being promoted as alternative investments to etchings. John Bull’s other island (1907) £2 (£40) now £20 . Thanks Robin, wise and timely words. Caveat emptor etc., As a dealer I have to differ with you slightly on Shaw values; last time I checked there were still good punters for signed Shaws especially with incisive and amusing inscriptions, and you would probably find the Oracle of Bloomsbury Square ponying up for a signed copy of Barrie's play 'Peter Pan'. I still get excited when I find a Galsworthy writing as John Sinjohn (they are far from common) but cool down when I check the price on ABE. His 1897 novel 'From the Four Winds' would be a good title for a prog rock concept album. 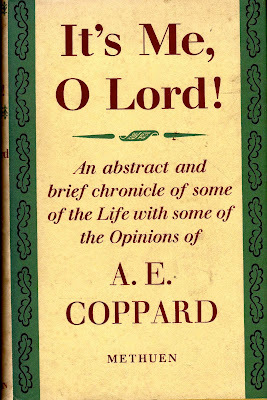 Who are the Coppards, Walpoles and Barries de nos jours? I suggest Louis de Bernieres and Ian McEwan --the first is already in decline and some very silly prices are now being asked for early McEwans-- a bad (or good) lead indicator... you might add Cormac McCarthy who had quite a showing in American Book Review's recent 40 Bad American Books. Turning up on Oprah may not have helped. Price, of course, does not reflect quality, good or bad. Values are determined by serious buyers, generally well off, confident, not to say self important. 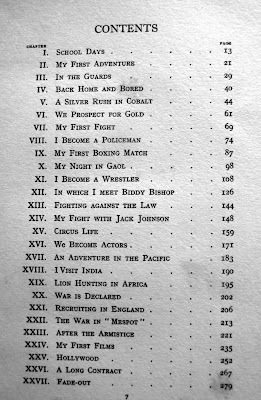 This is why Fleming still makes serious money but also Joyce, Orwell, Biggles and Greene. 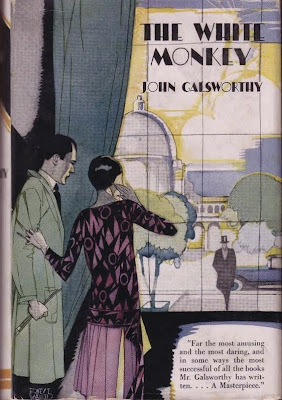 As for Galsworthy you can find incredible variants in his prices. 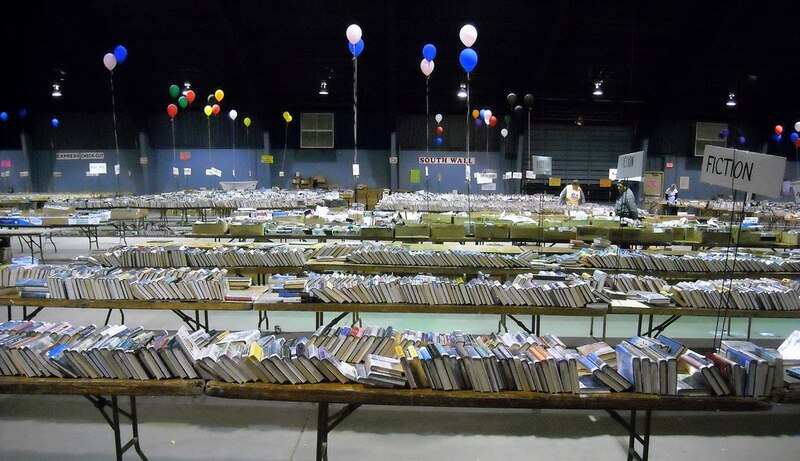 Some of his books are hard to sell for 1 cent. The world's most expensive web seller, whom I shall call 'Attic Books,' (because their prices go through the ceiling) have the signed limited edition of his collected plays at a mind blowing $2500 (it can be bought easily for $45 and his signed collected works in 30 exquisite vols can be had for considerably less). Oddly enough they have recently halved the price of this from $5000, a thing uncommon amongst gross over-chargers. 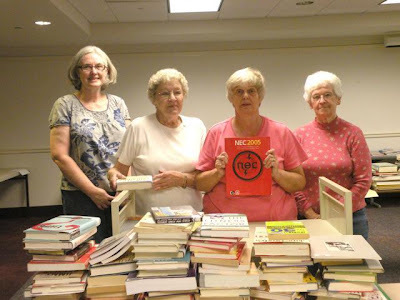 Most absurdly priced books stay at the same level year after year-- a seller in the Midlands, who could be said to have put the peak in Peak District, has his entire stock at almost exactly three times normal retail and never reduces the prices. Because nothing much sells he has a very large web stock and his prices have become useful to many more sober sellers as they can generally get about a third to a quarter of his prices -and also appear to be eminently reasonable against his price. It's a mad world, my masters. Arguably the most fashionable twentieth century English artist of the present day—more trendy than either Bacon or Freud, but appealing to a very different audience. 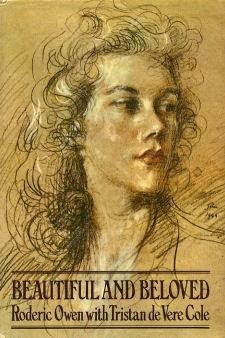 Ravilious’ ascent to star status possibly began with the publication of Freda Constable’s The England of Eric Ravilious in 1982. Since then, a number of studies focussing on various aspects of his work have appeared, most notably Alan Powers Imagined Realities. The appeal for his admirers lies in his peculiar vision of England in peace and war, captured in intense wood engravings that take their inspiration from Blake and Bewick, in spirited lithographs that owe something to continental surrealism and English folk art, but more brilliantly still in pallid watercolours informed by the artist’s early training as a wood engraver, but taking their palette from the English tradition in watercolour and the decorative motifs of, among other things, late eighteenth century Wedgwood creamware. In this world planes and tanks are reduced to toy-like dimensions and people, where they are present at all, become mere dolls --part of a play world of empty landscapes and interiors that exude a sense of dream-like menace. 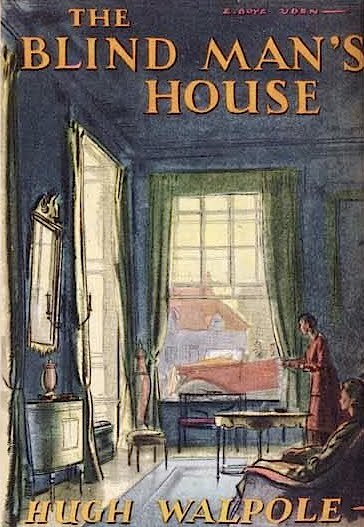 Ravilious, like his friend Edward Bawden, is the archetypal artist as designer- and- decorator and his work chimes in with the modern liking for irony and playfulness, and for interior design. His vision is the classical counterpoint to the sturm und drang romanticism of his exact contemporary, John Piper. 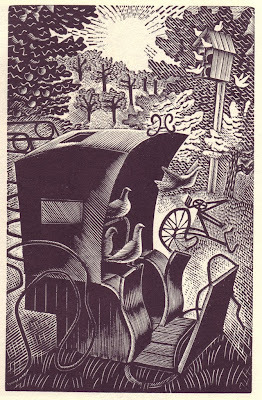 But unlike both Bawden and Piper, Ravilious died before he could fulfil his true potential. An aviator lost at sea at just 39 in 1942 —he left behind designs that were used years later, and now anything with a Ravilious motif on it is sought after —from the posthumous fifties meat plate, lemonade or milk jug by Wedgwood, the 1953 Coronation mug, to his four hundred plus wood engravings scattered around various publications. 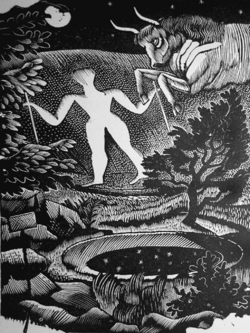 He it was who designed the logos of The Cornhill Magazine in 1929 and of Wisden, and a set of wood engravings for the Kynoch Press Notebook and Diary for 1933 that deserve comparison with those of William Blake. 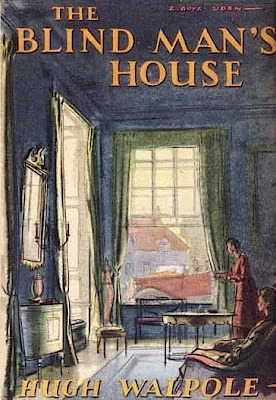 His most famous book is High Street, which the Curwen Press printed for Country Life in 1938. 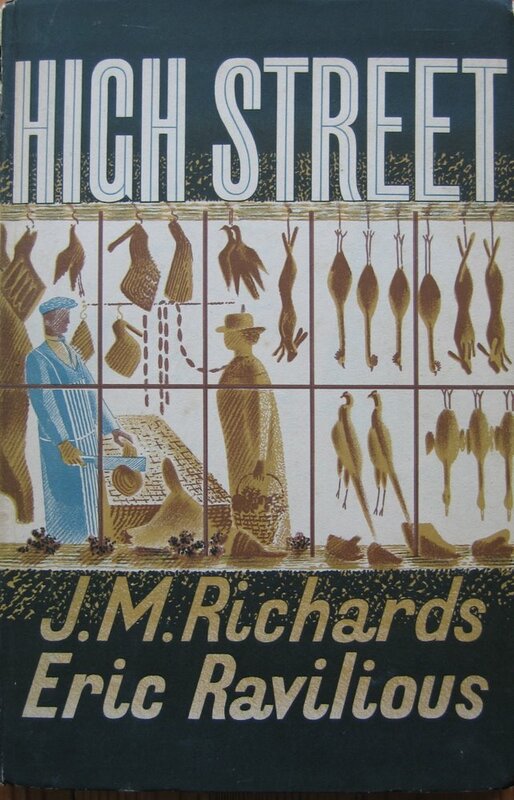 This collection of 24 brilliant and quirky lithographs of shop fronts and interiors mainly in London (including furrier, second-hand dealer, undertaker and oyster bar ) which accompanies a text by architectural historian J. M. Richards, has now become, without question, the most sought after English illustrated book of the twentieth century. Only two thousand copies were issued, but many of these have been broken up for their plates and thus copies in good condition are rare. At ABE you can find perfect or near perfect ones at up to £3, 250. The book’s rarity is compounded by the fact that the original lithographic stones were destroyed during the blitz. 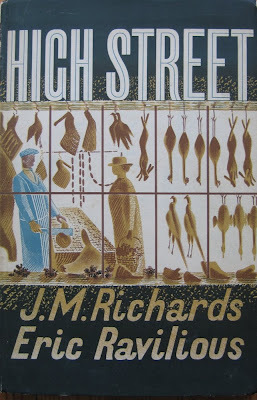 But with demand for High Street so great, it was only a matter of time before some sort of reprint appeared and in 2008 Alan Powers ( who used to execute exquisite watercolours of shop fronts himself ) brought out a history of the book ,The Story of High Street . which attempts, among other things, to identify the shops featured. This limited edition itself has now become a collector’s item for those who cannot afford the original book. Copies now trade at $238 or more. Many thanks Robin. More trendy than Freud and Bacon, cooler than Koons and Emin - I hadn't realised. I used to see High Street round the bookfairs in the 1980s priced in the low hundreds and often a bit shaken. 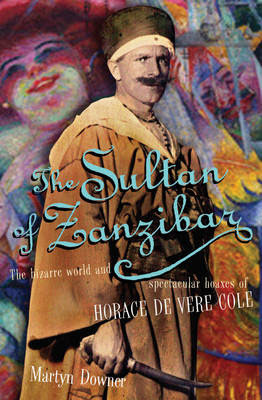 When it became a four figure book it disappeared and I had the odd email offering me a copy at over a £1000. 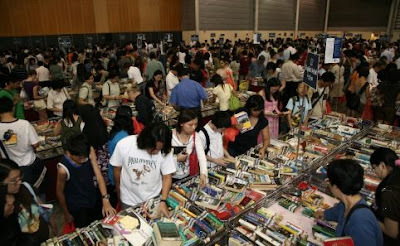 Because of my curious need to make a profit I did not buy, but sadly I have never found a copy asleep. The highest auction record for the book is £1200 + premium for a copy at Winter in 2008, slightly chipped at spine. £3250 is what you have to put on it to stop it selling. Also desirable is his 1929 Almanack for Lanston Monotype Corporation (12 wood engravings) -a copy made £400 4 years ago. 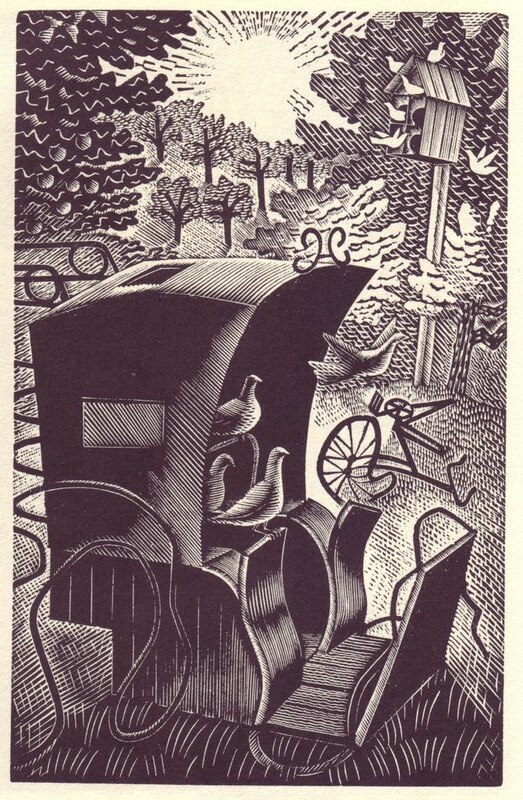 His Writings of Gilbert White of Selborne from Nonesuch in 1938 (44 woodcuts) can command £600 or more. Sellers sometimes claim it was his finest work; certainly It was his final great work before he met his death off Iceland in 1942.